By Justin C. It's always cool to see a long-established artist suddenly appear on Bandcamp. You can pick up things missing from your collection, or just get higher-fidelity copies of things you already had. It's always cool to see a long-established artist suddenly appear on Bandcamp. You can pick up things missing from your collection, or just get higher-fidelity copies of things you already had. 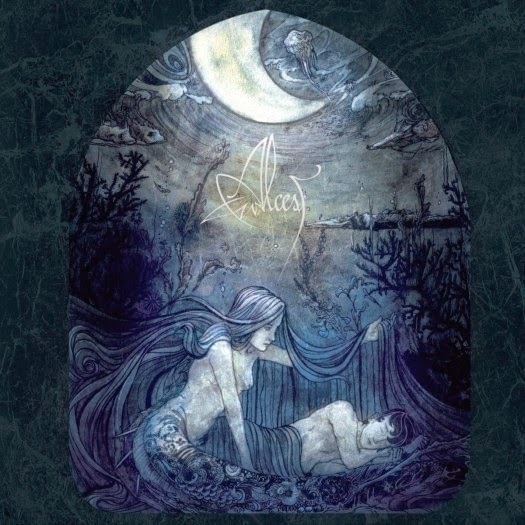 Now, when Prophecy Productions joined Bandcamp, we got a whole slew of new digital goodies, including Alcest. I briefly debated about whether Alcest really needed a write up here--doesn't everybody already know them? But on the other hand, there are always new people getting into metal, and it's easy to miss some gems. Or maybe the often-polarized opinion of this band scared you off, and you didn't have me whispering into your ear about why you should listen. 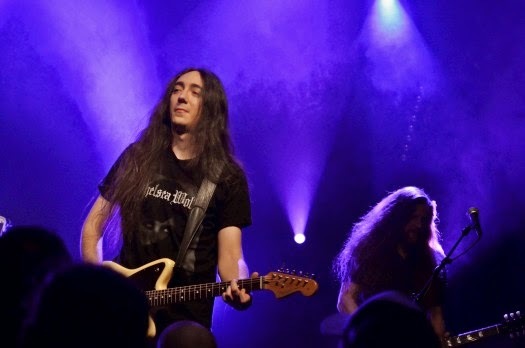 Alcest is primarily the work of Neige (a.k.a., Stéphane Paut). 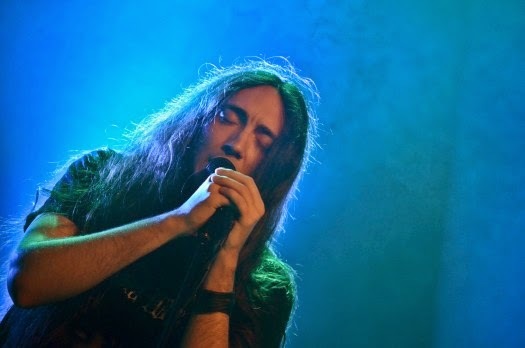 He started Alcest as a pretty standard, raw black metal outfit, but after the 2001 demo, Neige took Alcest into a new direction. A lot of people categorize Alcest as post-black metal, but the favorite genre label I've seen attached to them is "blackgaze." Neige mixes melodic shoegaze and black metal in a way that's simply brilliant. If you really think about it (and ignore the knuckle-headed screams of "sell out!" and "girlfriend metal!" that Internet Tough Guys love to apply to Alcest), the melding of shoegaze and black metal isn't actually that strange. Both genres typically rely on waves of sound washing over the listener, and what are blast beats and tremolo-picked guitars if not (angry) waves of sound? Sure, black metal is typically a bit more aggressive than, say, My Bloody Valentine or Catherine Wheel, but sonically, they have similar aesthetics, if different executions. It was hard to pick what albums to focus on, but for my money, 2010's Écailles de lune and 2012's Les voyages de l'âme stand as the pinnacle of what Alcest has achieved so far. Aside from the early demo, Écailles is probably one of the heavier albums in Alcest's catalog. "Écailles de lune (Part I)" serves as a melancholy intro to the album, but listen carefully: At around the 8-minute mark (Neige doesn't mind a slow build), we get some blast beats and lovely tremolo guitar, even if they're a bit less frosty than typical for black metal. Hang around for the next track, "Écailles de lune (Part II)", and after a deceptively gentle intro, you hear the first proper black metal shrieks of the album. I love Neige's clean vocals--they're subdued and non-showy while still conveying deep emotion--but I'd also happily listen to an album full of his raw shrieks. "Part II" eventually moves back to shoegazier territory, but it makes the blackened fury seem all the more intense. It pains me to say it, but if you're disappointed by the heaviness level of the first two tracks of Écailles, you're probably not going to like Alcest. The shoegaze parts of the music and Neige's clean vocals aren't brief respites or interludes; they're integral to the sound. But if you're still with me, I have to convince you to also listen to Les voyages de l'âme, because it holds a firm place on my list of favorite albums post-2000, and perhaps on my list of favorite albums ever. Les voyages de l'âme does move Alcest a bit further away from its black metal roots, although you still get some great blackened fury in "Là où naissent les couleurs nouvelles" and "Faiseurs de mondes". What stands out on Voyages is the maturation of Neige's melodic sensibilities. He was always good, but what he did on Voyages is at a different level. The lush guitars and vocal melodies in the album opener "Autre Temps" immediately take me to another place, which seems appropriate because Neige has explained that Alcest is largely inspired by a dream world from his childhood. This album also sees Neige's blending of the heavy and light become nearly seamless. The gentle intro to "Là où naissent les couleurs nouvelles" is brilliantly revisited in the song's blackened sections. The transition thrills me every time, no matter how often I hear it. And the vocals and guitars in the title track? 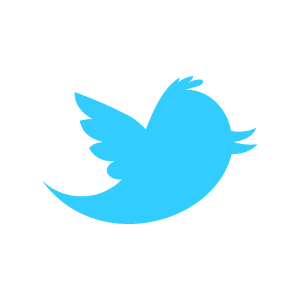 I don't even know how to put those feelings into words. Alcest's lovely 2014 album Shelter moved firmly into a pop/shoegaze sound, and as with most Alcest albums, the reaction was polarized. 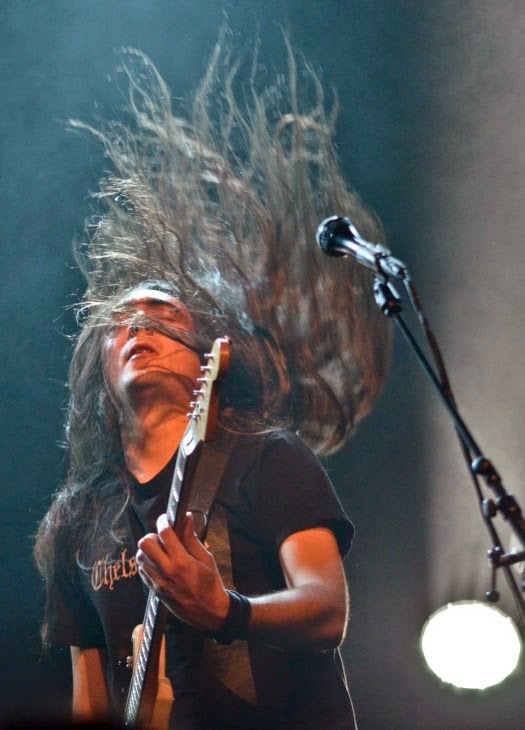 However, Neige has changed directions before--Alcest's first proper full-length, Souvenirs d'un autre monde, had nary a black metal scream on it, so it's hard to say where he'll end up next. 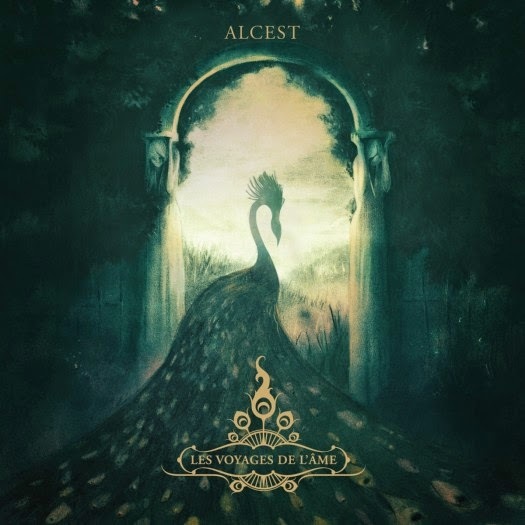 I'd hate to see Neige completely abandon his black metal roots, but on the other hand, his musicianship will show through no matter what he's doing, and I suspect Alcest albums are going to be an "insta-buy" for me for a long time to come.